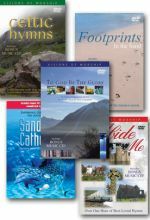 Includes inspirational on-screen scriptures, a BONUS menu option giving full lyrics to all songs, sing-a-long lyric SUBTITLES which can be selected via your hand held remote or player, and a bonus music CD. A PDF of the song lyrics is available at www.visionvideo.com. 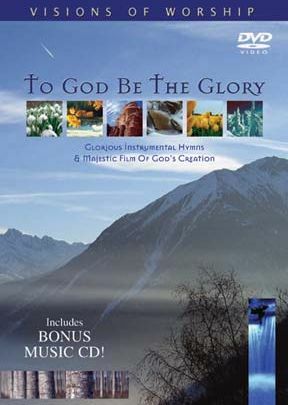 To God Be the Glory explores some of North America's most beautiful sights, connecting Bible verses with such hymns as "The Old Rugged Cross" and "It Is Well with My Soul." These fully orchestrated hymns accompany video footage of places like Michigan's Tahquamenon Falls and Yellowstone Nation al Park's Old Faithful geyser. 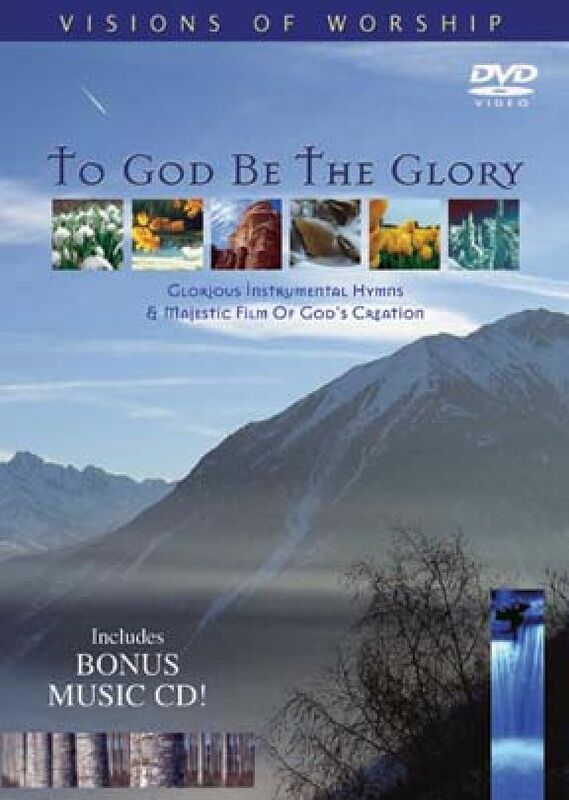 Special features on both discs include lyrics to all the songs in subtitle form to facilitate participation in the worship experience with the DVD. The music is nicely produced and balanced, with a spiritually edifying feel that is enhanced by the video footage it accompanies. The DVDs would be helpful in lending a worshipful ambiance to either personal quiet times or group meetings.